The stunning combination of our SOUK and Normande wall and floor tiles create a unique and fresh look. The range of colours and shapes available give you the freedom to explore a variety of arrangements to help you bring your design ideas to life. Why not call into our Chester showroom and browse our room settings of these tile ranges. Find us at CH1 4AJ just off Parkgate Road. 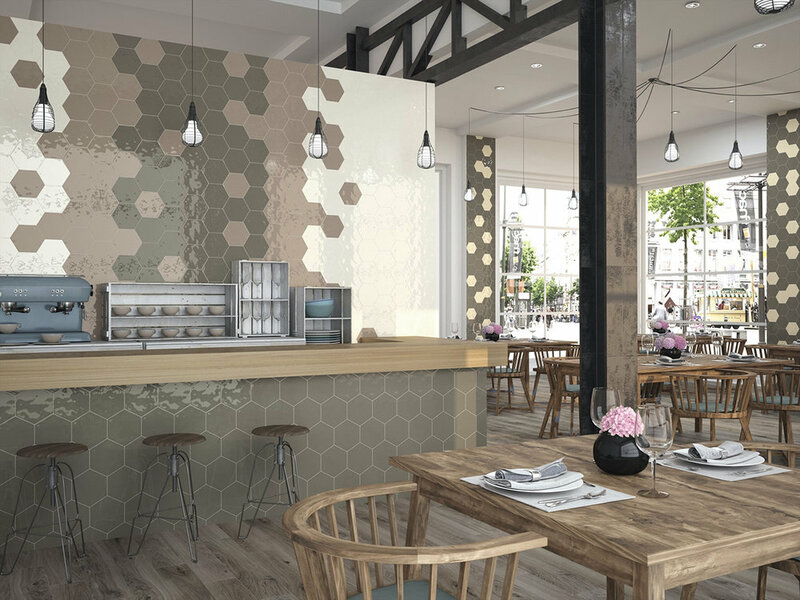 Our new Hexagonal tiles are available in ten colours and are pictured here in Vision, Graphite and White. Other colours include Blue, Black, Grey, Beige, Lead and Ivory. Visit our wall tiles section here on our website for more information about these and other tiles. 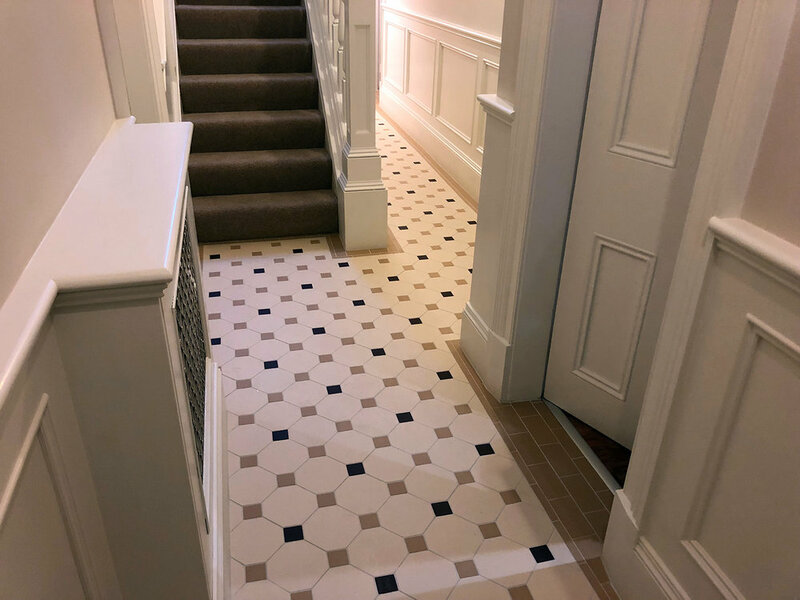 Victorian Dover White with Blue and Black Tacos from Original Style fitted this month and supplied by Rossett Tiles in Chester. Read more about our Victorian Tiles here on our website. Another very happy customer! Merry Christmas to all our followers and customers! Our new Original Style stand is now on display in our Chester showroom. The tiles pictured are from the Artworks collection of ceramic wall tiles. 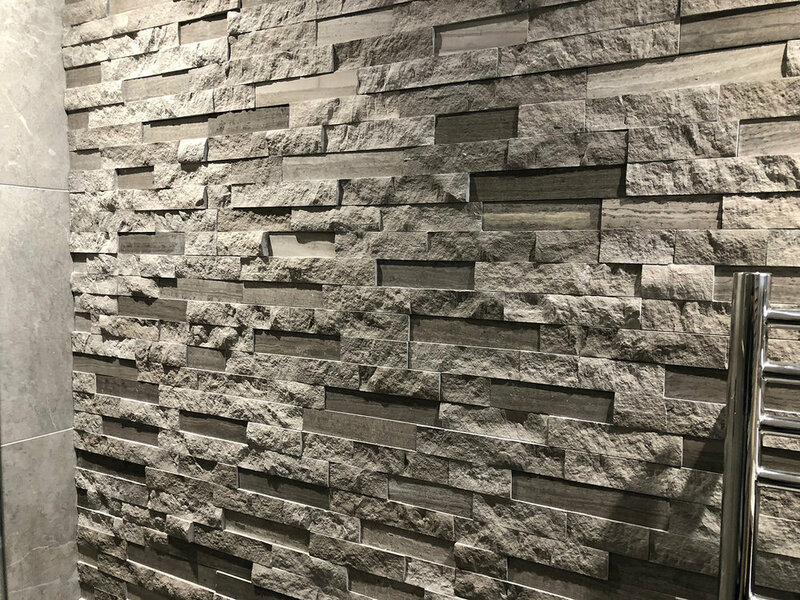 Call into our CH1 4AJ showroom or visit the wall tiles section here on our website for more information. 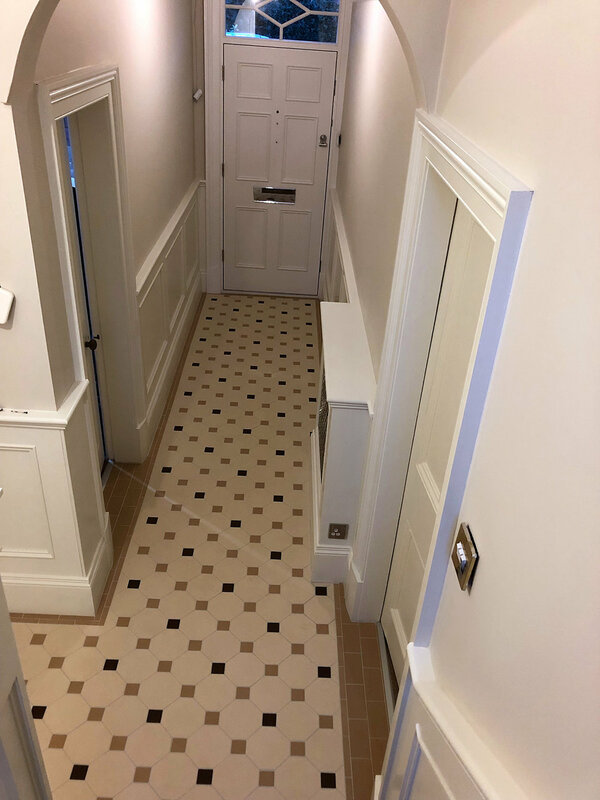 Pictures taken today of the Nottingham 3 colour pattern - Octagonal White, Old London and Brown from Original Style supplied by Rossett Tiles. 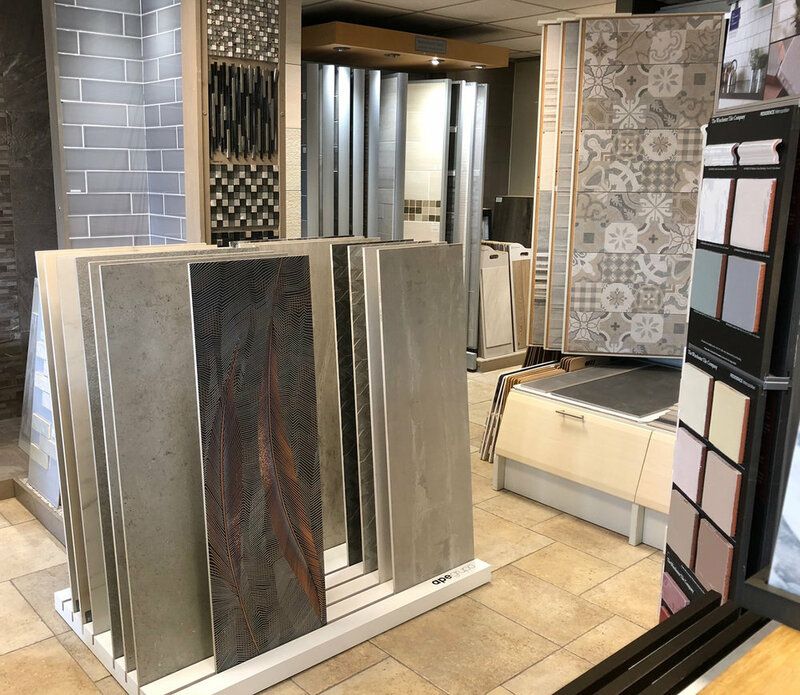 Call us on 01244 383 377 or visit us at CH1 4AJ or the Victorian Tiles section here on our website for more information about these and other tiles. 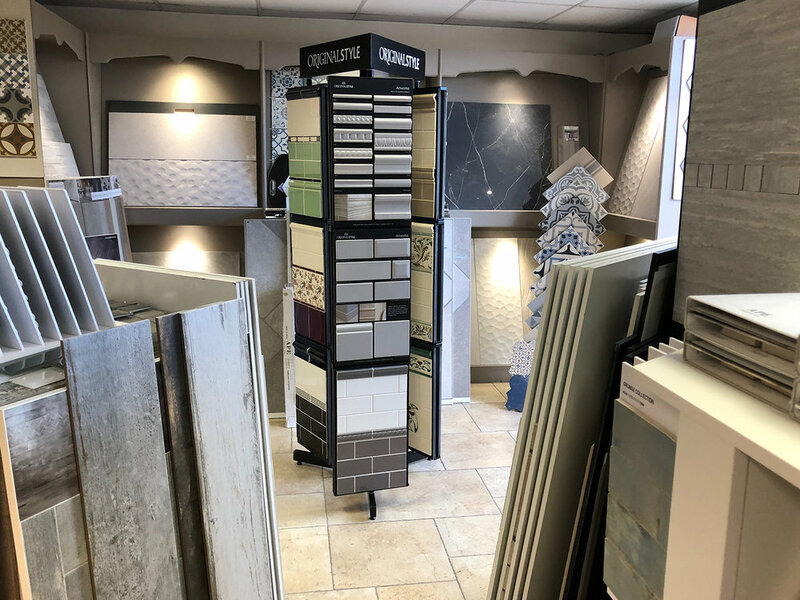 We've been working hard on our showroom displays like this new display of porcelain wall and floor tiles. This collection is packed full of tiles with innovative designs and finishes. Why not call into our Chester showroom opposite the University and take a closer look! More information here on our website. We recently supplied these Mountain Grey tiles and Split Face Lux Grey tiles for a customer’s shower room. Our customer was very happy with the tiles and has kindly allowed us to post pictures of them here on our website. Call in to see us in our Chester showroom opposite the University CH1 4AJ and browse these and other tiles.